A war hero killed when his Spitfire was shot down in Italy in 1945 is to be finally laid to rest after his body was unearthed at the crash site. Warrant Officer John Henry Coates, 24, of 111 Squadron, was declared missing in action on a dawn raid targeting barges on a canal near Venice. His plane was hit by anti-aircraft fire and crashed close to the village of Cavarzere. A military funeral will be held at Padua War Cemetery, Italy, on 27 March. His mother and immediate family all died without knowing how or where the airman from York was killed. His name was engraved on the Malta War Memorial commemorating the 2,298 Commonwealth aircrew who lost their lives around the Mediterranean but with no known graves. In October 2017 his remains were discovered by Romagna Air Finders, an organisation which recovers WW2 aircraft. An appeal to find his family was started and one of his relatives spotted a story in a local newspaper. WO Coates' niece Helen Watts, whose mother Molly Dearlove was the airman's younger sister, said: "Myself and my siblings grew up knowing that our uncle had gone missing towards the end of World War Two. "It is absolutely amazing that he has been found all these years later." 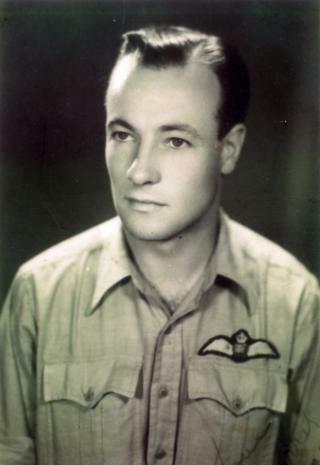 After volunteering for the RAF, WO Coates, who was known as Harry was based in Rimini supporting operations to drive German forces out of Italy. On the day of his death, he should have been on leave but swapped duties. Alessandro Voltolina, of Romagna Air Finders, said: "His discovery means he may now rest with all the other youngsters who lost their lives in Italy and are too often forgotten."